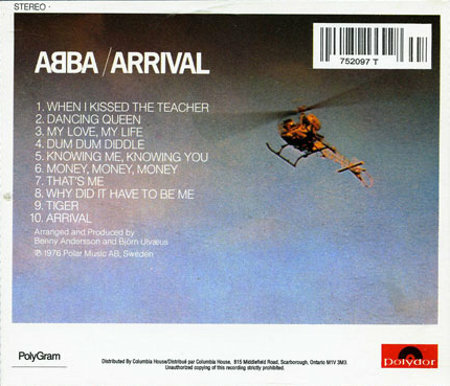 ABBA were obviously far more popular in Canada than in the US – after Atlantic lost Abba’s distribution deal in 1988, PolyGram immediately seized the Canadian distribution rights for the group. By contrast, the bulk of Abba’s back catalogue only reappeared on US shelves in 1995. By 1988, PolyGram had two distinct sets of Abba CDs available: the European series, made in West Germany, and the P33P series which was only available in Japan. Although the P33P series was arguably the better set, PolyGram decided to adapt the West German series for the Canadian market. As with most late 1980s PolyGram efforts, the adaptation was cheap and nasty and didn’t even stretch to going back to the original CD artwork so that Canadian catalogue numbers and copyright text could be added in a proper fashion. PolyGram Canada’s redesign budget stretched to the use of a lot of coloured boxes to cover up the European text and allow room for the Canadian details. Sometimes, this was taken to extremes as with the back cover of Arrival where a sizeable chunk of the original artwork was erased to remove any reference to Europe. 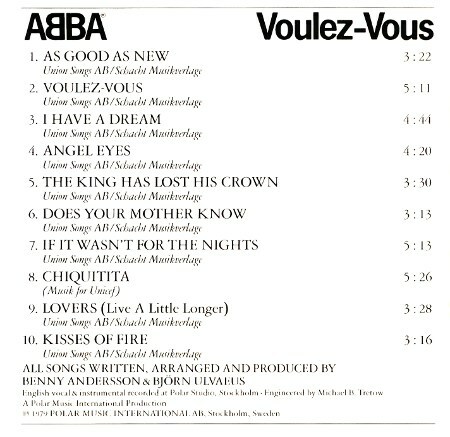 Unfortunately, the budget didn’t stretch to reworking the internal booklet text, leading to the bizarre situation where German music publishers were listed on the inner cover of Voulez-Vous. In terms of mastering, the discs are understood to be identical to the standard European CDs. Their main value is as curiosities and as a remainder that at least one part of North America stuck with Abba through the 1980s. Would be very interested which master tape was used for the 1995 version. Super Trouper does nor have the dropout at the end of the title track. Otherwise it is the same as the European Polydor, not a copy of the 1985 US Atlantic which also doesn’t have the dropout.